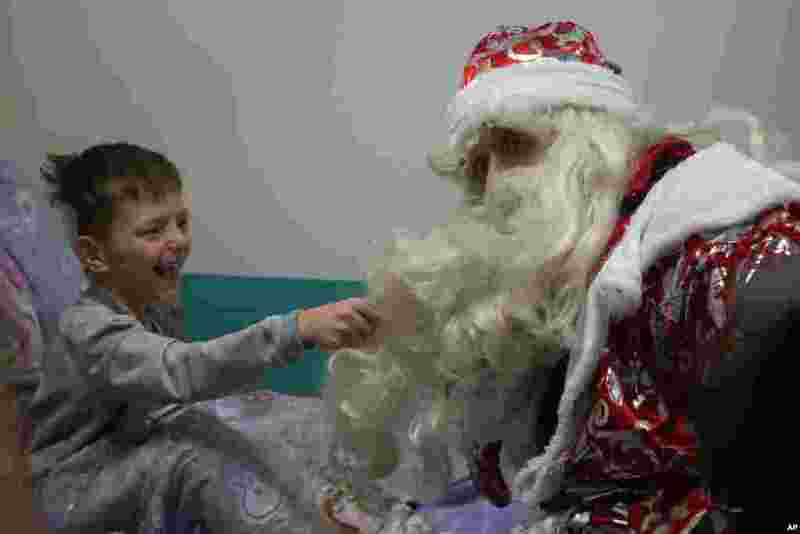 1 A boy pulls the beard of a Russian emergency rescue worker dressed as Ded Moroz (Santa Claus, or Father Frost ) after scaling the wall at a children hospital in Moscow. 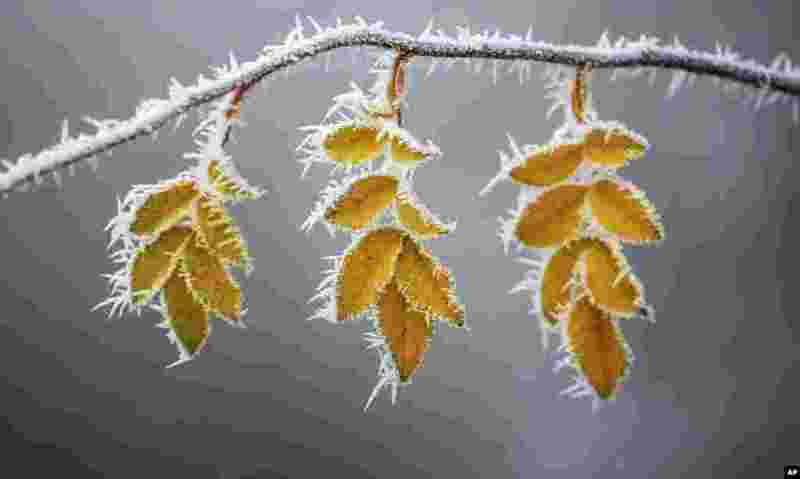 2 Hoarfrost covered leaves are seen on a cold winter day in Uttenweiler-Aderzhofen, south west Germany. 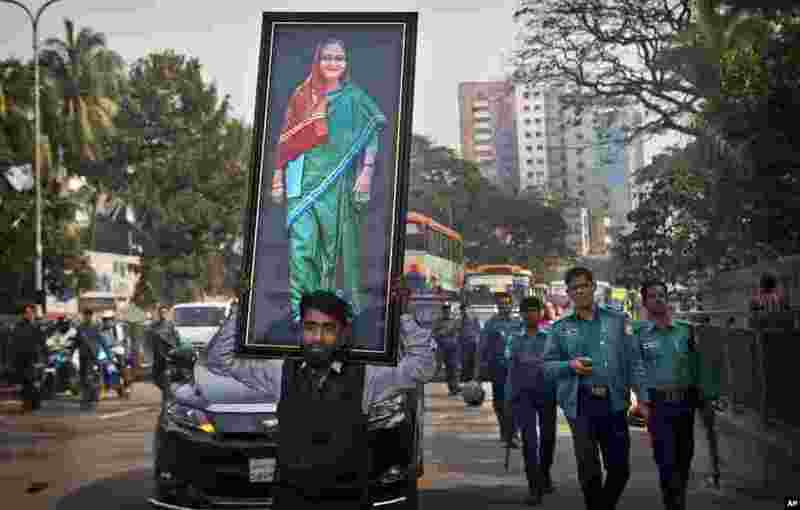 3 A supporter of Bangladesh Awami League party carries a huge photograph of Prime Minister Sheikh Hasina during an election rally in Dhaka. 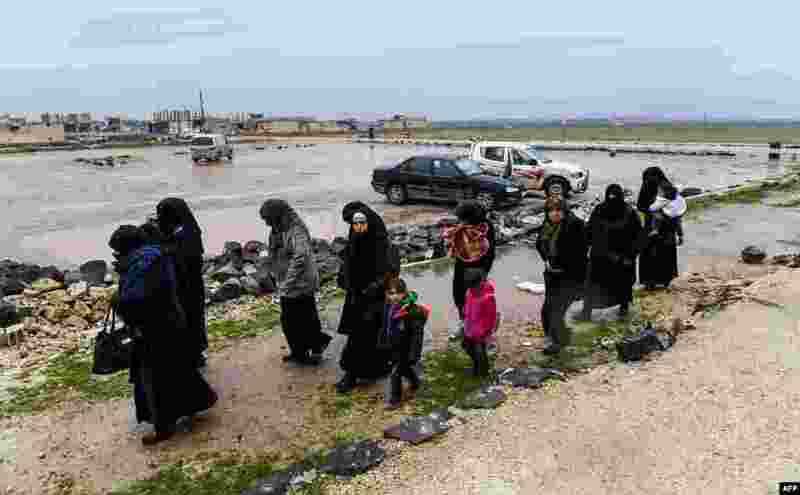 4 Syrian civilians cross from rebel-held areas in Idlib province into regime-held territories on through the Abu Duhur crossing.